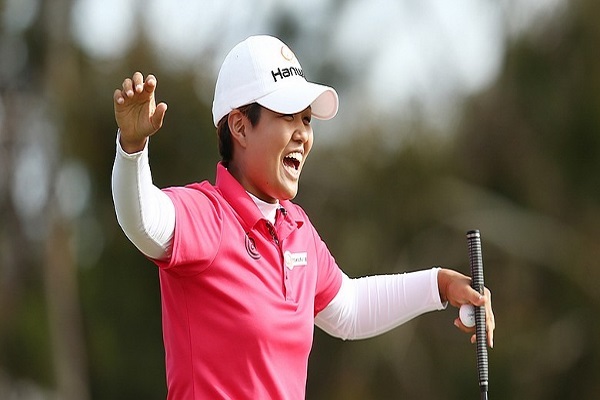 A big congratulations goes out to Hara Nomura who won the ISPS LPGA Australian Open. It was her first victory on the LPGA Tour. She did it in spectacular fashion, taking down the world's #1 player Lydia Ko. Nomura birdied the 10th, 13th, 15th, 16th, and 17th hole to finish 3 strokes ahead of Ko. 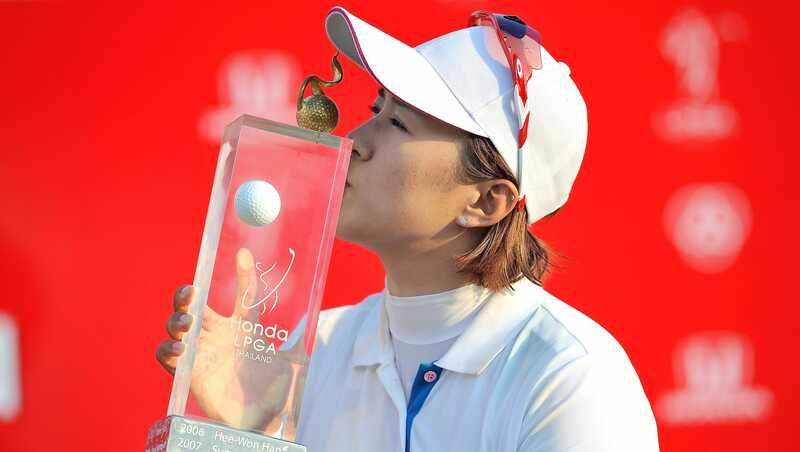 The LPGA moves to the Thailand for the playing of the Honda LPGA Thailand. Many of you may remember last year's exciting finish when Amy Yang won this event by 2 strokes over Yani Tseng, Stacy Lewis, and Mirim Lee. This will be tournament #4 of 33 on this year's LPGA schedule. My strength of field is a very solid 78.50%. In spite of the fact that it is missing the #1 player in the world, most all the other top players will be there. The only reason my field rating isn't even higher than it is, is because the small field of just 70 players lacks depth. Forty-seven of the top 50 players from the LPGA Priority List, and 42 of the top 50 players from this week's Rolex Rankings will be teeing it up. Those not in attendance this week include: Lydia Ko, Brooke Henderson, and Alison Lee. Here are the pairings for round one. There is a 12 hour time differential between Thailand and U.S. ET. All broadcasts should be live. My 3 alternates are: Charley Hull, Mirim Lee, and Minjee Lee. After the first 3 tournaments of the year, I am currently in 5th place among the 17 contestants. Wei-Ling Hsu missed the cut this past week for the first time in her last 14 starts. Stephanie Kono made the cut this past week after missing her last 18. Hara Nomura vaults up from #67 to #48, while Karrie Webb jumps from #34 to #29. Ha Na Jang leads with 705 points. She is followed by Haru Nomura with 620, and Hyo Joo Kim with 538. Ha Na Jang and Haru Nomura are the only 2 players to finish in the top 15 in all 3 tournaments this year. Ayako Uehara and Maria McBride have missed the cut in all 3 of this year's tournaments. Brooke is playing in the RACV event in Australia this week. She is playing in Singapore next week... got into field there because of her tour victory last year. Had Brooke been eligible, I'm sure she'd be at the Honda this week. It's ridiculous that she is not eligible due to the LPGA's arcane rules. I wonder how Honda feels that one of the most exciting players in years wont be playing and her huge Canadian following wont be tuned into the golf channel and wont be seeing the Honda ads. You know, the ones that help pay for these events. I will be following Paula Creamer.... as she has been working HARD with her new coach, Gary Gilchrist since the first of the year, and particularly the last two plus weeks since the Coates Championship!! Nomura is not currently on the field list, but have been told that she is playing and the list is wrong. I have to find out more about that tomorrow. Ha friendly banter Tony you know I respect all your comments really and I've been informed on Alison Lee's eligibility thanks. I must say I was impressed with Nomura's play but will see if she can continue now to back it up. Yes it's tough only having one fellow Kiwi in almost every tournament to support! Just as well she's going ok otherwise we wouldn't even see her regularly on the broadcasts. Very surprised to see your top 3 picks, but truly that's how they are at the moment. Will Lewis finally win? Hopefully Park is totally recovered. Finally see Tseng on the list. We want to see good results from them.... Or will someone totally unexpected end up winning this.